The Christmas countdown is officially on. Days are filled with holiday shopping, scrambling to finish my list of to-dos before Seattle, parties & end of the year get togethers. 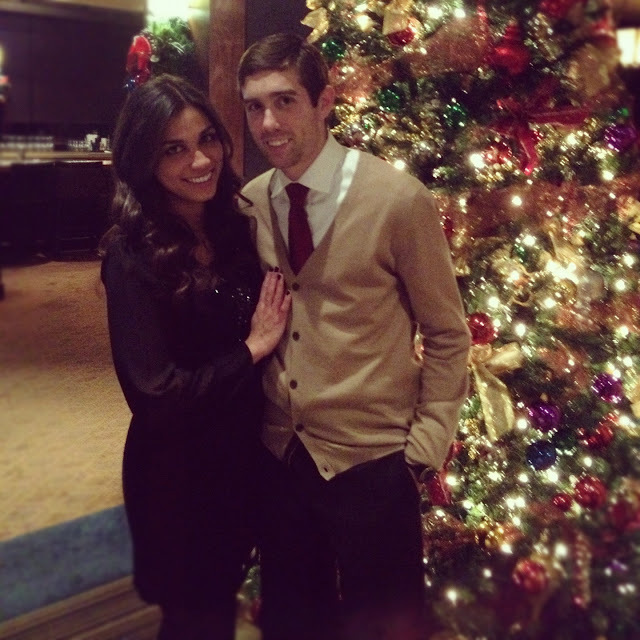 Saturday night was my company's holiday party at the Phoenix Country Club. I love getting dressed up & seeing everyone get fancy! We called it a night pretty early, since Sunday we were planning to wake up early & celebrate our Christmas together. The faster you go to sleep, the sooner Santa comes, right? After tearing through some seriously amazing presents (the man seems to always know exactly what I want! ), I made Christmas brunch & we sat and watched football for the rest of the day. I napped twice and never took off my pajamas. It was glorious. 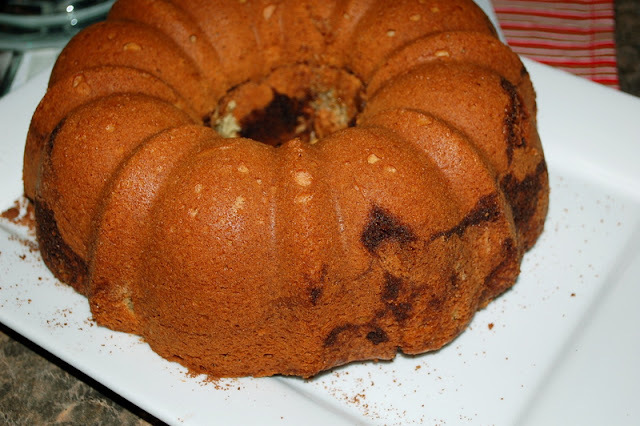 For brunch, I went the typical bacon & eggs route, but also made a bundt coffee cake. Bundts always remind me of my big fat greek wedding. - Preheat oven to 350°F and butter a 12-cup Bundt pan. - Mix first 5 ingredients in small bowl. - Sift flour, baking soda, baking powder and salt into medium bowl. - Using electric mixer, beat butter and sugar in large bowl until blended. Beat in eggs 1 at a time. - Mix in vanilla. Mix dry ingredients and sour cream alternately into butter mixture in 3 additions. - Beat batter on high 1 minute. - Pour 1/2 of batter into prepared pan. Sprinkle with half of cinnamon mixture. Spoon remaining batter over. - Bake cake until tester inserted near center comes out clean, about 1 hour. Cool cake in pan on rack 10 minutes. Turn cake out onto rack and cool. Merry Christmas kids.You look awesome. I love pajamas days like that, it really is glorious! Your cake looks delicious, hope you have a Merry Christmas!